In the surf or on the shore, the O'Neill Youth Reactor Spring Suit provides comfortable protection from the elements in warm water. 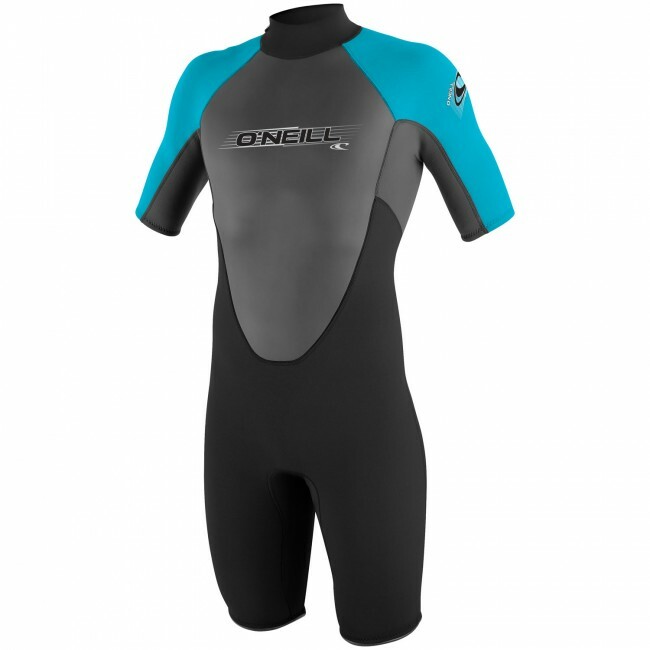 Built with durable UltraFlex DS Neoprene and breathable flatloc stitching, this entry level spring suit is an affordable option for kids, tweens and teens. A back zipper means easy off and on while the fully adjustable super seal neck secures everything for a great fit. With colorful options, performance technology and an incredible price, the Reactor delivers a smiles all summer long.